Discover this spellbinding debut from S.A. Chakraborty. 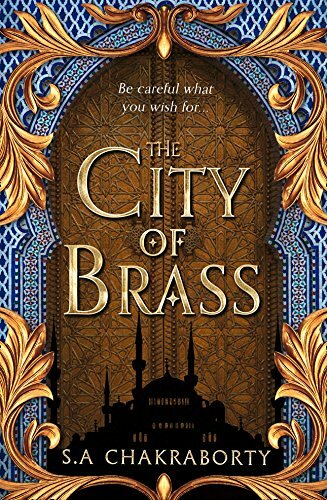 `An extravagant feast of a book - spicy and bloody, dizzyingly magical, and still, somehow, utterly believable' Laini Taylor, Sunday Times and New York Times bestselling author Among the bustling markets of eighteenth century Cairo, the city's outcasts eke out a living swindling rich Ottoman nobles and foreign invaders alike. But alongside this new world the old stories linger. Tales of djinn and spirits. Of cities hidden among the swirling sands of the desert, full of enchantment, desire and riches. Where magic pours down every street, hanging in the air like dust. Many wish their lives could be filled with such wonder, but not Nahri. She knows the trades she uses to get by are just tricks and sleights of hand: there's nothing magical about them. She only wishes to one day leave Cairo, but as the saying goes... Be careful what you wish for.